Finding engaging games to play with toddlers and preschoolers that are not excessively tedious for the adults can be a challenge. Memory, Candy Land, and Chutes and Ladders are classics and likely in any collection with young kids. I can vouch that they are in my kids’ collection too! There are many more games to choose from that are good for young players. These games have are appealing, have cute themes, and you will enjoy playing with your preschooler. My Very First Games are for ages 2 and up. 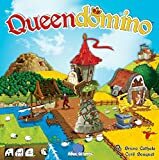 There are 17 games for sale on the Haba website in this set and some of the most recommended are First Orchard, Hanna Honeybee and Animal Upon Animal. 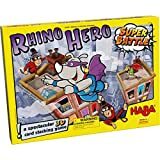 Haba games are high quality and include wooden pieces. First Orchard is a cooperative game where players are trying to collect all the fruit before the raven reaches the end of the path. The game has large brightly colored wooden fruit and a chunky wooden raven. The path and orchard are easy to set up and reinforces sorting skills. This is a simplified version of Haba’s Orchard game. Hanna Honeybee is a cooperative game were one to four players are rolling a chunky wooden die to find and collect flowers of that color. Once collected it goes into the beehive which flips the card so it comes out on the honey side. A second way to play it to have the cards upside down and that adds a memory component to the game. Animal Upon Animal has three ways of play. There are two competitive variants and a cooperative variant. The animals are much larger than the classic game and they stack much more easily, so it accommodates the level of fine motor skills you find in younger players. Some of Haba’s games that are not only from the My First Game Series are also good for preschoolers. Their pieces are slightly smaller and there are more rules to the game. Animal Upon Animal has slightly smaller pieces than the First Game version. This game is for ages 4 and up. Players are asked to roll to determine how many animals they are stacking or they may be asked to add a piece to the base adjacent to the crocodile. Unicorn Glitterluck is a roll and move game with some added components for ages 3 and up. Players move their unicorns along the path and collect crystals. If they land on a crystal image they have to roll a special die to find out how many crystals to take. The player to reach the sun first ends the game and players count their crystals. The player with the most crystals wins. The back of the game board also has a counter track so players can lay out their crystals by the player and visually see who has the most. Gamewright makes great family games! 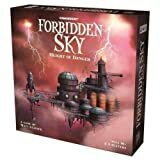 There is something for all ages and many of their games play well multi-age. 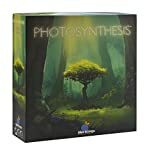 The themes are light-hearted and their games are easy to learn. For the youngest gamers, they also have developed a cardholder. This is a great tool for little hands who struggle to hold a hand of cards. Go Away Monster is a re-release of a game for the younger set with new art and prettier components. The main thrust of the game is that you have to fill up your card with different puzzle pieces to make up a child’s bedroom. You do that by reaching into a blind bag and feeling around for the piece that you need. The trick is that there are monsters in the bag. If you pick a monster out of the bag then you lose your turn. Feed The Kitty is a dice game where players roll the dice to see what they have to do with their mice. At the beginning of the game, each player gets some wooden mice and some go in the Kitty’s bowl. The two custom dice have four other actions, and they complete both on their turn. Players may need to pass a mouse to the player on the left, or do nothing if there is a sleeping cat. Rolling a bowl image indicates they have to put a mouse in the bowl, or a mouse image and they take a mouse out of the bowl. Players can not roll if they are out of mice, but they are not out of the game. The game ends when only one player has a mouse (or mice). Hiss is a competitive game where players draw tiles and try and build the longest snakes. Each snake has different colors and players need to match the colors for adjacent snake pieces. To build a complete snake they need to have a head, at least one middle body segment, and a tail. This is a game that easily scales down to youngster players. Educational Insights’ goal is to make games that are both fun and educational. 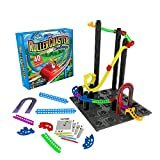 They have infused an educational theme into each of their games, and also put a animal squeezer which develops fine motor skills and hand strength into a series of their games. The Sneaky Snacky Squirrel Game is where you are collecting acorns to feed your hungry squirrel. At the beginning of each turn you spin the spinner and that dictated the color acorn you can take or if another event occurs. If a player lands on a storm cloud their acorns get blown back onto the tree. A sad squirrel means you lose a turn. The thieving squirrel picture allows the player to steal one acorn from another player. The first person to fill their log with acorns wins. Educational Insights have developed a line of games with a squeezer that also include: Hoppy Floppy Happy Hunt and Sophie’s Seashell Scramble. 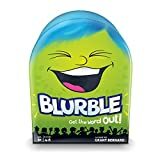 Blue Orange Games, the award-winning tabletop game publisher has a whole series of Spot it games in a range of theme. Some other Spot it Games include: numbers and shapes, sports, Gone Camping, Frozen. Spot it Jr. is simple, inexpensive, and portable. Oh! And your Preschooler has a decent shot at beating you in it. This is a matching game with multiple variables of play. There is one matching animal on every card so you are trying to be the first to find the matching animal. This is great for even the youngest gamers and helps to develop their observational skills. Snug as a Bug in a Rug is a cooperative game for player ages 3 and up. The game is also designed with three levels of play to increase difficulty as players get older. The bugs in the game have multiple features. They are different colors, have shapes, have different numbers of shapes, and have large or small eyes. The basic gameplay has the players roll the specialized die to determine the attribute they are looking for in their bug and then spin the spinner to specify the attribute. For example, if they roll the color attribute on the die, the spinner would tell them to find the blue bug. Once they find a bug with that attribute it goes under the rug (the game board). If there are no bugs that match that feature a stink bug is placed on the rug. The game ends when all the bugs are under the run, which means players win, or there are three stink bugs on the rug. 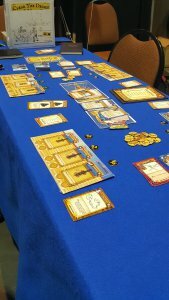 Count Your Chickens is a cooperative game where you are trying to get all 40 chicks back to the coop before the hen reaches it. On each turn, the player spins the spinner that has various pictures that correspond to picture on the path. The player moves the mother hen to the next space with that picture and counts the number of spaces they travel. The number of spaces is how many chicks they put in the coop. If the spinner lands on the fox one chick is taken out of the coop and put back in the farmyard. Hoot Owl Hoot is a cooperative game to bring the owls back to the nest. The goal is to get all the owls back before the sun comes up. Each player has three cards dealt in front of them. Players choose a color card to pla, and draws a card to refill at the end of their turn. With a color car,d the player selects an owl and move it to the next corresponding space of that color. If a player has a sun card they must play it, and the sun moves one space on the tracker. 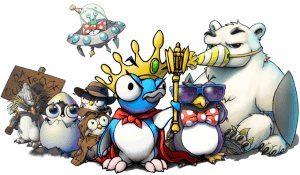 The difficulty can be increased by adding more owls to put back in the nest. I Can Do That! is an active game that gets kids moving. This takes some items from Dr. Seuss books and has made them into props to complete silly actions. On each turn player pull one card from three different decks. Deck number one is an action, deck number two is a prop, and deck number three is a direction to do with the prop. There is also a Trick-a-ma-stick Foam Bar that players may need to go under or around. There are Stop Card scattered in the three decks. If a player draws one their turn is over. On each card there are stars. 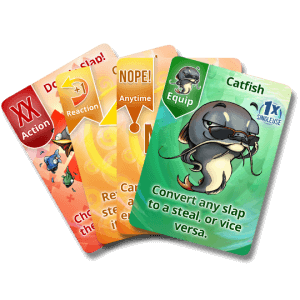 Players keep the cards for all successfully completed actions, and the player with the most stars wins. Zingo is a bingo game with a few twists by Thinkfun. The game is for players ages four and up and can play two to six players, and game play is quick and a game take 15-20 minutes. Zingo is a great game to have for young players. Thinkfun has also created multiple versions of Zingo published by Thinkfun. They include: Zingo 1-2-3, Zingo Sight Words, Zingo Time-Telling, and Zingo Word Builder. These can be great ways to develop beginning reading and math skills, and for preschool and primary students the Zingo variations are a great fit. The random nature of the game allow for play with the whole family. Build or BOOM is a block stacking dexterity game designed to be played by even the youngest member of your family. Your goal is to race your opponent to complete a tower out of uniquely shaped blocks and BOOM their tower to keep them from winning. This game is absolutely playable by everyone in the family. It is designed for kids 4 yrs old and over, but is still fun and playable by the more mature members of the family. The concepts are simple to understand and no reading is required. The plastic pieces are big enough for tiny hands to manipulate and the towers are challenging for all ages. Kickstarter Campaign of the Week: Your Family Rocks! Your Family Rocks! is a family /party style game by Ludyo. It is a new type of tabletop game that transforms your family photos into real cards in a real game. 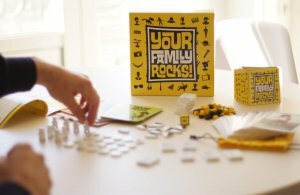 By merging photography and tabletop games, “Your Family Rocks!” lets you not only look at your photos but to play them as well. They took the time to answer some questions for us about their campaign. Take a look below and check out the campaign! It is live on Kickstarter now until July 13, 2018. Your Family Rocks! is a family /party style game. The playtime is 20 to 200 minutes and age range is 10+. Your family photos are transformed into real cards, which makes it really unique. Don’t just look at your photos…play them! 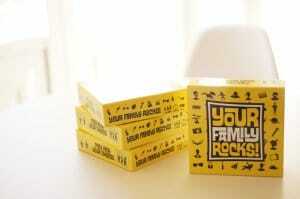 Your Family Rocks puts your family memories at the center of the board game. The game uses your own family photos as the 60 “family cards” in the game, making it the first your-photos-transformed-into-cards board game. Your photos play the central role in the game, influencing your strategy, your score, your control over pieces, and in the end, how the game plays out. The Kickstarter went live June 12, 2018 and runs until July 13th. All production and logistic issues have been taken care of. We were waiting for a couple of reviews to strengthen our Kickstarter campaign page and completed a promotional campaign before the project launched. As far as we know, this type of customized tabletop game has never been explored. 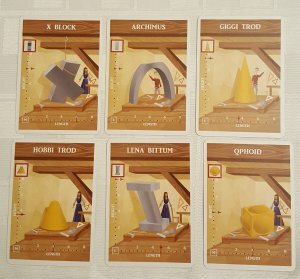 Some dynamics though might resemble other card dynamics (storybuilding, theme selection, card association,…) but we have had no comments about it reminding players of a specific game. 1) Purpose Reason: The most important reason is the meaning associated with the concept. I think that fostering family moments based on their unique memories has value per se. 2) Uniqueness Reason: There is no such type of game yet. Longer than expected! 😉 It started a gift for my family and the initial idea was to play our memories. As time went by, and after some plays with family and friends, I have decided to try a Kickstarter and this implied some changes. I had to simplify the mechanics in order to reach younger audiences and had to cut on some customization elements we had (people faces on meeples and family name on discs). I also had to combine the game design with the game art to make it more appealing. It’s their photos, their memories, their game. Families take tons of photos and they look at it, but being able to play them, while remembering good times and building relations is a different thing. The best reason is: by playing their past memories we believe families will strengthen their future relations. To transform photos into real game cards, you just need to upload 60 photos to the Ludyo platform, and we’ll turn them into real game cards. We will assemble the game and deliver it at your doorstep. Having the game dynamics/mechanisms closed was the first one. But the most important issue was logistics. The current supply chain of the board game industry is not capable of providing this type of customized solution so we had to make sure we were able to assemble potentially thousands of customized games . We are now very solid on this, but it took as a long time to get to it. The inner desire to make a game has been inside for a long time. When I was 20 I tried making a board game about guards and prisoners, but I failed. Then I created a deck building game for standard 52 deck cards. I reached a new level when I decided to make a board game as a Christmas gift for my family. 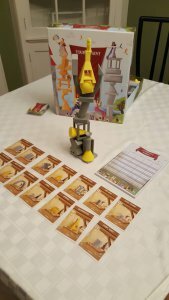 Family and friends liked it and gave me the incentive to try a Kickstarter. I am continuously provoked with new ideas for board games through daily conversations or simply walking on the street. It just comes naturally, which I believe is a sign that I should at least give it a try. We hope that, by playing their memories, families will strengthen future relationships. This has always been our guiding star.